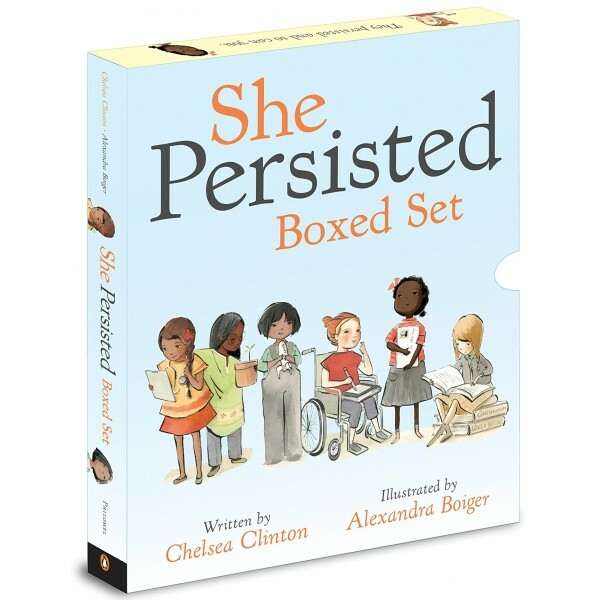 Two books, twenty-six women — and unlimited inspiration for tiny feminists, mini activists and little kids who are ready to take on the world. 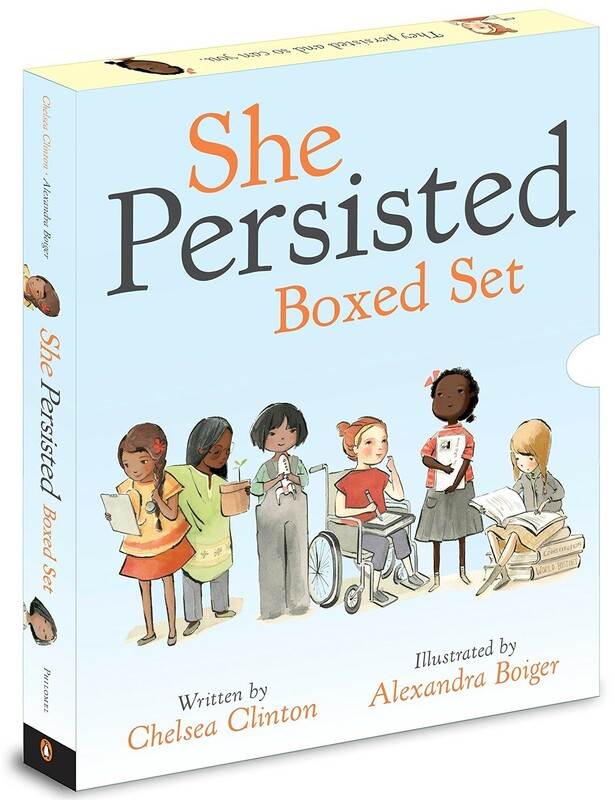 When She Persisted and She Persisted Around the World published, they gave readers two collections of 13 remarkable, diverse and tenacious women. Chelsea Clinton's words and Alexandra Boiger's art brought the women to life, showing how they struggled and ultimately persevered, inspiring and empowering people across the U.S. and the entire world. Now packaged together for the first time, this set is a perfect gift for feminists of all ages.